Green tea is a beverage that should be more popular than Coke, Pepsi, Gatorade, or Mountain Dew. Why? Because aside from its great taste, its health benefits, especially for senior citizens, is phenomenal! 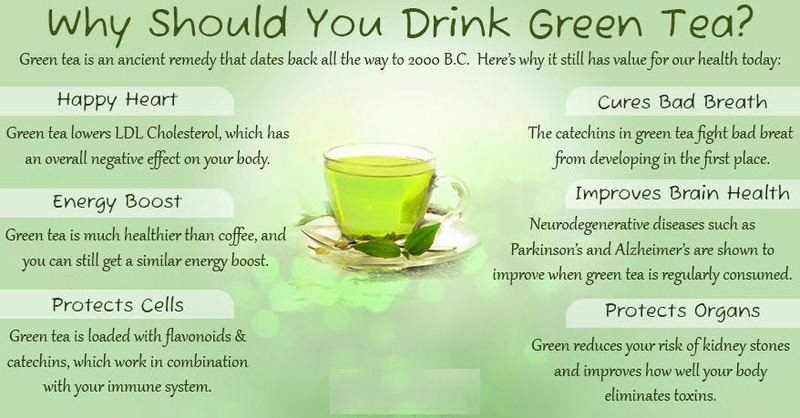 Indeed, green tea has been called the anti-aging drink. It has been used as a medicine for thousands of years, originating in China and widely used throughout Asia. It also has several health benefits, such as lowering blood pressure, slowing the aging process, and preventing cancer. Green tea is loaded with antioxidants and nutrients that have powerful effects on the body. For example, improved brain function, fat loss, a lower risk of cancer, and many more benefits. Let’s take a closer look. It improves memory, concentration, and performance on cognitive tasks. Studies show that it contains the amino acid L-theanine, which increases activity of GABA, a neurotransmitter that has anti-anxiety effects. Alzheimer’s disease is the most common neuro-degenerative disease in humans and a leading cause of dementia. Not only can this tea improve brain function in the short term, it may also protect your brain in old age. In addition, Parkinson’s disease is the second most common degenerative disease and is caused by the death of dopamine producing neurons in the brain. Several studies show that the catechin compounds in this tea has protective effects on neurons potentially lowering the risk of Alzheimer’s and Parkinson’s. Studies show that this tea can improve insulin sensitivity and reduce blood sugar levels. One study in Japanese individuals found that those who drank the most green tea had a 42% lower risk of developing type 2 diabetes. According to a review of 7 studies with a total of 286,700 participants, green tea drinkers had an 18% lower risk of becoming diabetic. We all have trouble keeping our weight under control, especially as we get older. Study results show that green tea is very effective in lowering and maintaining your weight and controlling against obesity. Several studies show that this tea leads to decreases in body fat, especially in the abdominal area. One of these studies was a 12-week randomized controlled trial in 240 men and women. In this study, the tea group had significant decreases in body fat percentage, body weight, waist circumference and belly fat. Drinkers have up to a 31% lower risk of cardiovascular disease. This tea also increases the antioxidant capacity of the blood. This protects the LDL particles from oxidation, which helps to prevent heart disease.